Be bold. Take risks. Think bigger. To truly embrace these concepts and scale your company, you need to be able to take calculated risks without the fear of failure in your way. 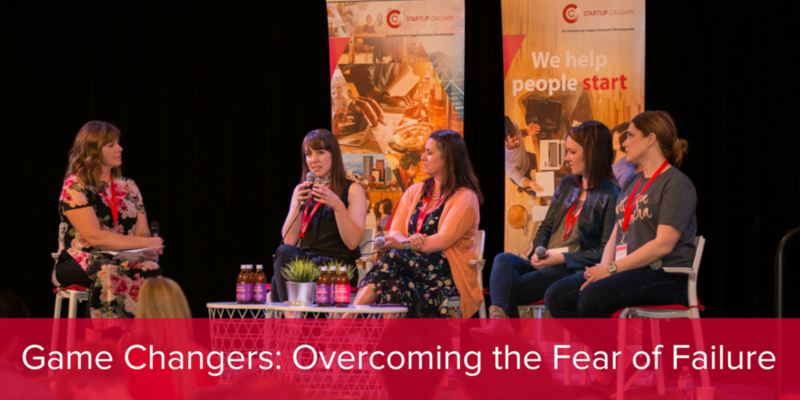 Learn how these “been there, still going through it” entrepreneurs overcome their fears to achieve success. A serial innovator, published author and founder of SPLICE Software, Tara Kelly is passionate about technology’s potential to change lives for the better. She has consistently channeled that belief into developing technologies that enhance operations, enable better service delivery, and improve the customer experience. This has resulted in creating three customer experience companies and turning an innovative idea into a patented, proprietary technology (US Patent Number 9348812) that harnesses data streams to create personalized, automated messages. Carrie spent 25 years in TV and film production, leading teams as a creator, producer and executive producer of award-winning documentaries for National Geographic, Discovery Channel and the Food Network, among others. More recently Carrie has worked as a freelance writer under her company Write On Girl, including years as a regular contributor to the Huffington Post. In 2018 she took a complete left turn into the land of technology start-ups, co-founding PwrSwitch with Beth Thompson. Passionate about the ability of PwrSwitch to improve and even save lives, she's now committed to it's success full time. With a background in Environmental Science and Urban Agriculture development, Aja has led research projects and entrepreneurs in this space with her passion for sustainable food production. She is currently the CEO of Drizzle Honey, a honey products company sold across Canada that focuses on changing how the world uses honey. Aja is enthusiastic about bringing innovation to market and bolstering female entrepreneurship. Fighting poverty with technology, Helen is the Director of IT for the Calgary Drop-In Centre, the most effective Homeless Shelter in Canada. Leading an IT Transformation that will deliver annual savings of $2 Million, Helen is driving meaningful change for vulnerable Calgarians. Helen is also a passionate advocate for increasing gender diversity in IT, and is a Canadian CIO of the year finalist for 2018.